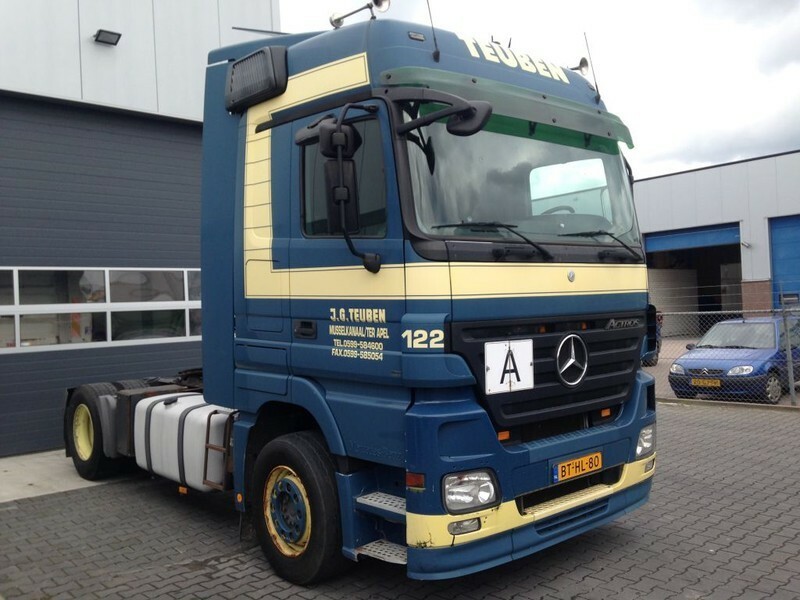 Buy Mercedes-Benz 1841 Megaspace tractor unit by De Bruin Trading B.V. The price is 12900 Euro. Engine/driveline: Euro 5, diesel, 410 hp, gearbox: automatic, transmission: Automatikgetriebe. The details on axles, suspension and euro norm include: 4x2, number of axles: 2, ABS, chassis side skirts. Driving cab specifics: cab type: sleeper cab, cab model: Megaspace, roof spoiler, fog lights, sunvisor, power windows, electric mirrors, central lock, air conditioner, parking heater, cruise control, radio, CD, fridge. The mileage is 888972 km. Good luck in your deals with De Bruin Trading B.V.!